Alexis, welcome to Overcoming With God. We appreciate your willingness to share your testimony of overcoming with our readers! It's an especially timely topic during summer. Thanks for sharing! Would you tell us about the one of the most difficult things in your life you have had to overcome, with God’s help? One of the most difficult things in my life that I had to overcome was my addiction to refined sugar. I used to crave it morning, noon and night. The cravings would not subside until I feed it with something sweet. Some people can simply sleep off the cravings but I’m a natural night owl so I couldn’t resolve it with a good night’s sleep and that’s when the cravings would hit me the hardest. Thankfully, through prayer and fasting, God helped me to overcome my cravings for refined sugar. It wasn’t easy but it was worth it. When the sugar cravings hit, I coped by eating oatmeal and fresh fruit. I did this fast a few summers ago when nectarines were in season and that was my substitute for refined sugar. As the days and weeks continued without me giving into my cravings, the nectarines started to taste sweeter and my appetite grew to be satisfied without consuming sugar. By the 41st day, I felt free. No longer do I experience midnight cravings for sugar that won’t let up until I give in. Years later, I still don’t crave it like crazy and I am so grateful that God honored my fast and set me free from the stronghold of sugar. 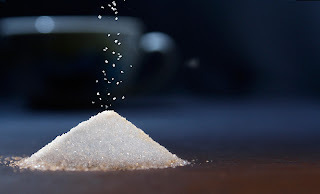 I know that my prayers coupled with the prayers of my prayer warrior friend really helped me to reach the point where I no longer craved sugar. I am forever grateful to that friend and to God for working together to set me free. What passages in the Bible have been most helpful to you in those times? Philippians 4:13 was a very helpful Bible verse to me during that time because it taught me that I can do ALL things through Jesus Christ who, in this case, can strengthen me to overcome my sugar addiction. What helped you get through or helped you cope with this difficulty? Prayer support from a prayer warrior friend and a few pastors who I talked to about my sugar addiction. My own prayers to God coupled with fasting helped me to cope with this difficulty. Disability friendliness: Is this latest release available in audio format or do you have any other works available on audio? Do your e-books have audio capability? Do you have any in large print? No, neither of my books are available in audio format or in large print. Sorry. In this latest work, do you have any topics useful for bibliotherapy, or therapeutic influence through reading about a disorder or situation? 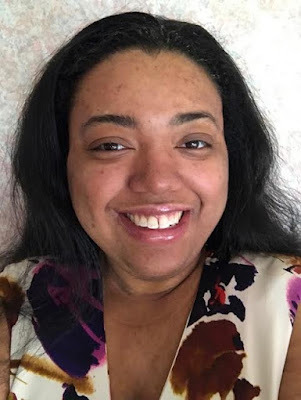 BIO: Alexis A. Goring is a passionate writer with a degree in Print Journalism and an MFA in Creative Writing. She loves the art of storytelling and hopes that her stories will connect readers with the enduring, forever love of Jesus Christ. Giveaway: Leave an answer to Alexis's question to enter for the giveaway of Alexis's romance! 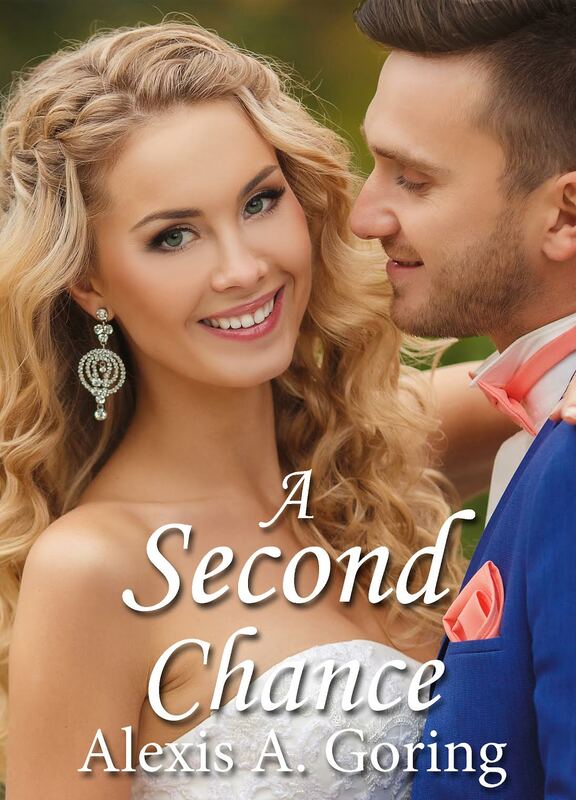 Question:Have you ever needed a second chance? If so, share your story. We're so grateful to have you visiting with us this week, Alexis! Thanks for sharing your struggle -- something we can all relate to! Blessings! Thanks for sharing how you overcame your sugar addiction. I am that way about my sweet tea. Thank you for sharing your story. I did a sugar fast in June. I couldn't believe how much better I felt! Congratulations on completing your sugar fast! How many days did you fast from it? Are done with it forever? Or maybe only treating yourself with it now in moderation? I know that the holidays can be the toughest times to go sugar-free. Thanks for sharing. I was thinking about your question. I don't know that I have needed a second chance, but there have been times I wished I knew what I know now when I was younger because I might have done things a lot differently in the ministry. But we need to learn from our mistakes and lack of knowledge inorder to grow and be stronger in our faith. I have always had a sweet tooth but have tried to eat in moderation. I am pre diabetic and it had been under control until the beginning of June. I immediately cut sugar out and my blood sugar is in normal range again. The doctor has now added hypoglycemia to my diagnosis so have an appointment with a dietitian to see what I can eat. I find I am very hungry. The appointment is August 3rd. I will look for your book. Yes, I think that most of us would want to know now what we didn't know then but God's Grace covers us. He's willing to help us move forward and do better when we know better. Praying for God to restore your health and help your doctor help you with the most effective plan of action this August 3, 2017. You can buy my book on Amazon or B&N online. May I first say that this cover is gorgeous! Thanks for sharing with us. I've always found that prayer is my strongest and most effective tool. God bless. I agree that prayer is the strongest and most effective tool that a Christ-follower can use. too have a problem with this Satan drug. Lol the reason I say that the struggle is real. Been trying and have cut back so much of it. Not sure if I can Overcome not having it in My Tea. Will keep trying though. Much Thanks. Yes, the struggle to overcome addiction to sugar is REAL! And we're surrounded by it daily. It's definitely a fight! Thank you for your testimony. When I think of my own life I can think of several things that I should give up. Starting first thing in the morning - coffee, creamer and sugar. :) I should follow your plan and give up some of my addictions. I am praying that God helps you to overcome your addictions. Remember, you can do ALL things through Christ! :) *Philippians 4:13* He will give you strength. Thanks for sharing insight into your testimony. I totally understand not wanting to get too personal online. Congrats, SHERRY Moe! You've won the copy of Alexis Goring' new novel on OWG blog! certainly have... thanks for sharing, sweet things are a trial for me at times.. I hear you about sweet treats being a trial! :) Note: I don't think it's a sin to eat sugar. I just know that I needed to overcome my addiction to it. Thank you for sharing your inspiring testimony Alexis. I'm happy that you enjoyed my interview, Shelia! God bless you. Thank you for sharing! I love sweets myself. I love chocolate. Yes, chocolate is SO good! I think sweet treats are okay every now and then. I just had to overcome my addiction to it. To be free from those cravings feels SO good! Thanks for sharing your story. I'm an Avid Christian Reader member. The cover is very pretty! Thanks for sharing! I love sweets so I need to be doing this. As far as second chances we all need them. I have lived for God ever since I was a little girl and never did the things I saw other young people do that messed their lives up. But we all have sinned and come short of the Glory of God so we all have to repent and ask forgiveness of even the little things, or what we call "little sins". So I know God has given me second chances a lot of times. The sugar fast definitely did set me free. I will pray for you as you try to do the same. Yes, you are right that we are ALL sinners in need of God's Grace! I am so glad that He is a Patient and Forgiving God. There has been at least one major second chance happening in my life which I won't share here 😊. But as I interact with several of my grandchildren on pretty much a daily basis, I often see the need to have a second chance to do something a better way with them. I am very much a second (maybe even a first mom some days) with them and work at showing grace and tenderness to them. I am grateful for God's grace and help as I live my life for Him. Thank you for sharing about your sugar addiction. I often say, "My name is Anne. I am a chocoholic." I'm sure sugar plays a big part in my love for chocolate. It might just be time to give the Lord permission to work on this area of my life. Isn't it great that we have His strength to overcome? Continued blessings to you! I am so delighted to hear that there is a MAJOR second chance happening in your life right now! :) God is Good! You sound like you're a very good Grandma to your grandchildren. God bless you and your family, Anne. *Lean more on the Lord. I am a diabetic and I struggle daily with sugar cravings. I sometimes feel despair until I am reminded that I am a child of God! I can do all things through Christ Who strengthens me. Philippians 4:13. I am praying that God will help you be free from your sugar cravings. Did you try fasting and praying? Yes, you can do ALL things with God's help. I am praying that He strengthens you. I am an avid reader too! :) Do you plan on reading my book? I've given second chances and third and on....doesn't work if they aren't truly repentant. Enjoyed reading the interview. You're right, Lucy. We must be truly repentant. I think we all need a second chance in any number of areas in our lives. And I'm so thankful Jesus does give us that second chance always! Girl, yes! Bakeries, coffee shops, candy stores...SUGAR is EVERYWHERE! It's definitely a battle to let go of it or only eat it in moderation. I am happy that you thought my guest post on Carrie's blog was refreshing. Thanks, Chris. I'm happy that you enjoyed my story. Congratulations on overcoming sugar. It can be controlling! Thanks for sharing your story! Thanks for sharing. I think we all need second chances at times in our lives, and I'm thankful we serve a God of second chances...and more. You are a new author to me, and I would love to read this book. The cover is beautiful and the story sounds great. Thanks for your kind words about my story. Thanks so much for sharing your testimony of overcoming, Alexis. I am so thankful that with the help of the Lord, perseverance and prayer we can all be overcomers! Avid reader! My brother told me I needed to lose 50 pounds and it's true. I crave sweets. My mother let me have all the sweets I wanted when I lived at home. I weighed 92 pounds when I married,at 19, but, after 3 kids, my weight started showing. Don't be too hard on yourself. You've had three kids! But you can totally lose the extra weight with God's help, your willpower, prayer, fasting, and perseverance. Thank you for sharing your experience. Praise God for the success he gave you in overcoming. I can't give an example of a second chance in my life, but I imagine everyone has been thankful for a second chance she was given at some point in time. God is gracious. Note: I think that sugar in moderation is okay. But I also know that we mortals do better without it. Praying that God helps you find the perfect balance to your diet. I'd love to hear your second chance story! :) Feel free to e-mail me. You can find my e-mail on my website, https://alexisagoring.jimdo.com. Thanks so much for sharing this story. I know all too well how addicting sugar can be! :( With God's help, I've come a long way the past 6 months, through setting new eating habits. I'd love to read this book, and I'm also an Avid Reader. Congrats on your progress and journey toward a healthy eating habit! I am happy for you! :) Keep up the good work! I'm an avid reader too. Note: My book is available for purchase on Amazon.com and B&N. Alexis, thank you so much for sharing your testimony! I also struggle with sugar. I am relying on the Lord to bring me through! Thanks for sharing. I am an Avid Reader! Hi Alexis! What a great interview. Giving up sugar (and flour) is such a difficult thing. I am in awe of people who accomplish it. I've cut back on sugar but haven't given it up completely. Thank you for the encouragement!